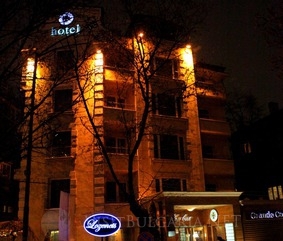 Location: The 3-star "MEG-Lozenetz" Hotel is located in the central part of Sofia city and is the ideal place for tourists and businessmen, due to its walking-distance proximity to all government institutions, banks, cultural and historical sights.It is very close to the National Palace of Cutlure, where almost all cultural events are being held, as well as to the commercial zone of Vitosha boulevard. The airport is only 15 minutes by car. Accommodation: MEG Hotel offers 16 fully air-conditioned, sound-proof and luxuriously furnished double and triple rooms plus one apartment. Enjoy the panoramic view of Vitosha mountain or the central part of Sofia from your balcony. Тhere's also a TV equipped with satellite programming in each room, as well as Internet access. All rooms offer luxuriously furnished bathrooms with bathtub or shower-cabin and extras such as a hair-dryer, adaptor and all the bathroom necessities. A professional massage will help your total relaxation, and the roomservice will give you a perfect opportunity to pamper yourself. Wine & Dine: The attractive Lozenetz restaurant offers natural greenery, sophisticated and romantic ambience, excellent servicing and exceptionally delicious specialties (THE best steaks in Sofia, guaranteed!). The restaurant has 50 seats and is sutable for holding business meetings, family gatherings, small parties or cocktails.